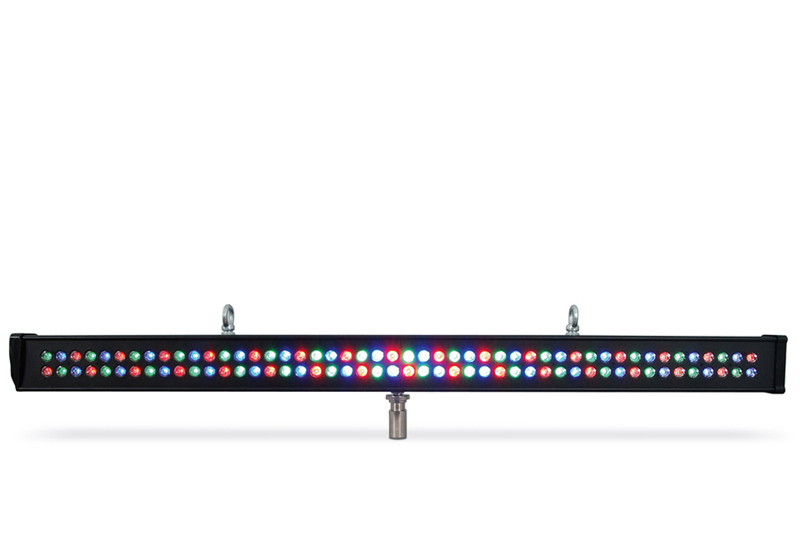 MBAR 120 is a lighting LED bar for indoor installations that incorporates 80 LEDs (1.5 W each) 3 in 1 . The possibility of the mixture from single point of light, allows you to create any desired effect. Rotation of colors and chases is highly fluid. 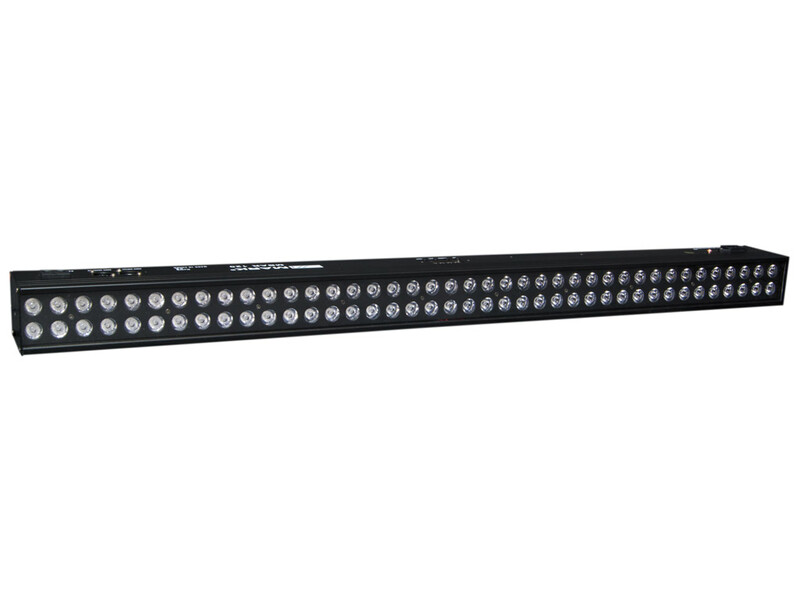 MBAR 120 is a bar designed for stage, nightclubs, ballrooms, etc... because it incorporates several modes: Auto (Various programs), master / slave and DMX. In the last mode, you can select various channel modes: 2, 3, 4, 7, 14 and 26, including general dimmer, dimmer of each primary color, strobe, program implementation and color transitions. Our DMX indoor MBAR 120 ( 8 sections) offers many possibilities to achieve the effects which you want. The rolling and chasing effects are very good. 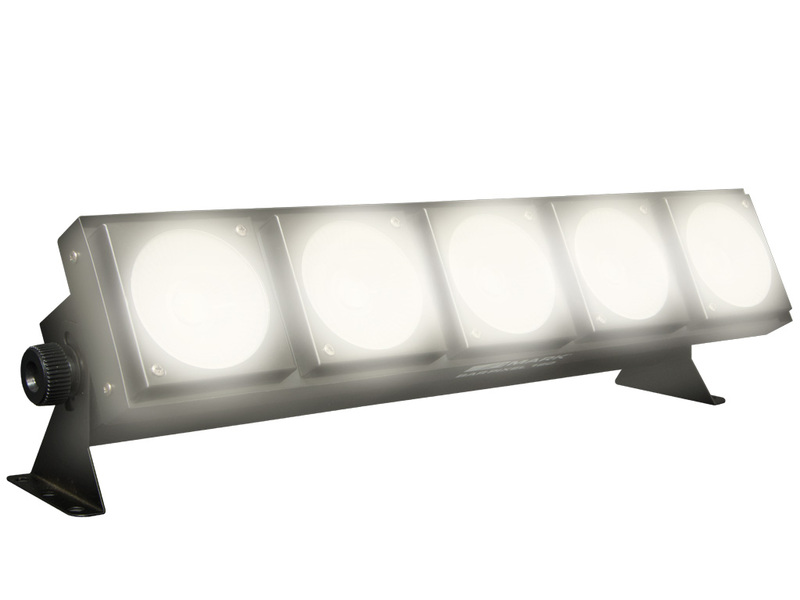 It is designed for the stages, disco, night clubs etc, even the building halls. 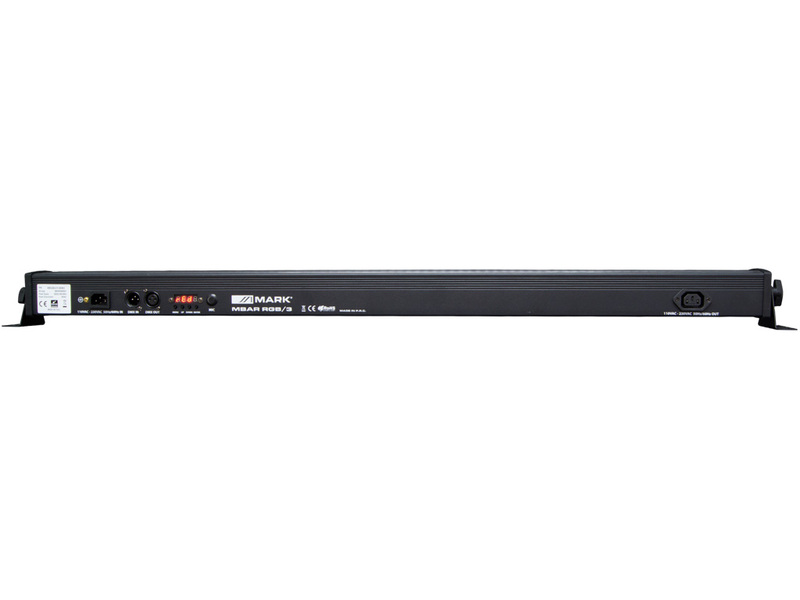 MBAR 120 Our DMX indoor MBAR 120 ( 8 sections) offers many possibilities to achieve the effects which you want. The rolling and chasing effects are very good. 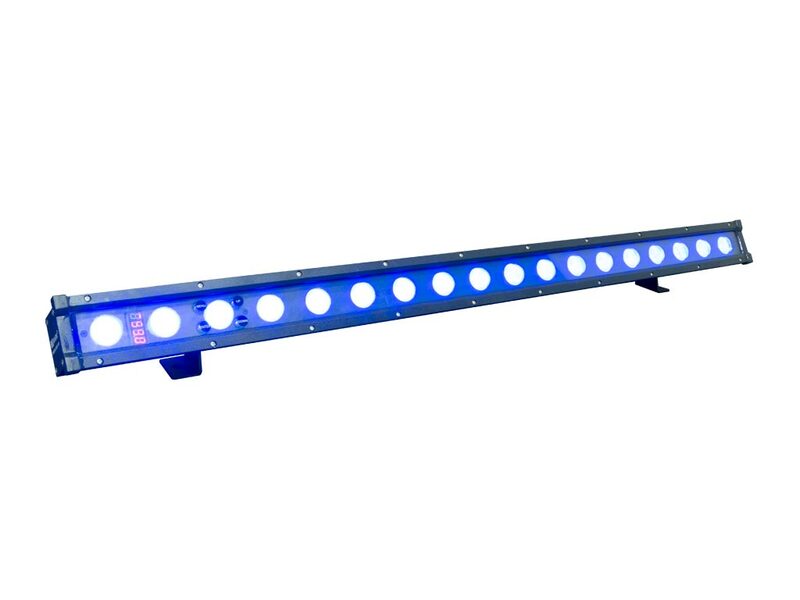 It is designed for the stages, disco, night clubs etc, even the building halls.